From the award-winning design at the CES 2015, Edifier has expanded its line of Luna E products. 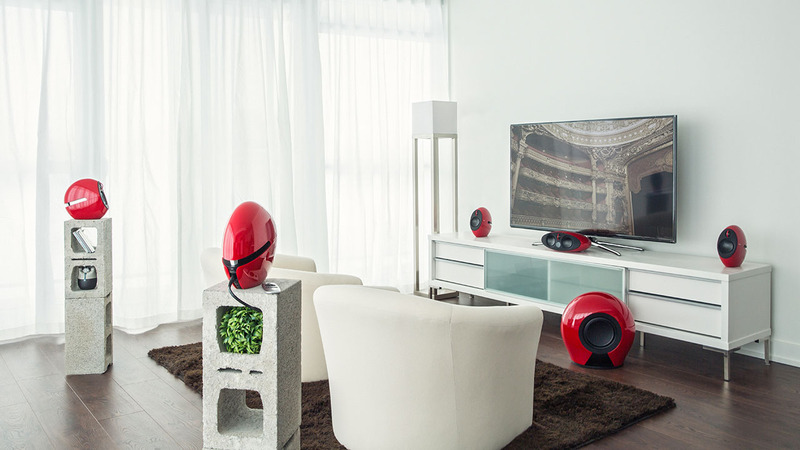 They began with the 2.0 speaker system, enhanced it to a 2.1 with a massive subwoofer that won the CES innovation award and have now created the 5.1 system perfect for your TV. Featuring 3 speakers, a subwoofer and a decoder unit, the E255 is a perfect surround sound system. It’s time to expand your listening experience and truly feel everything you are meant to when watching an action film. 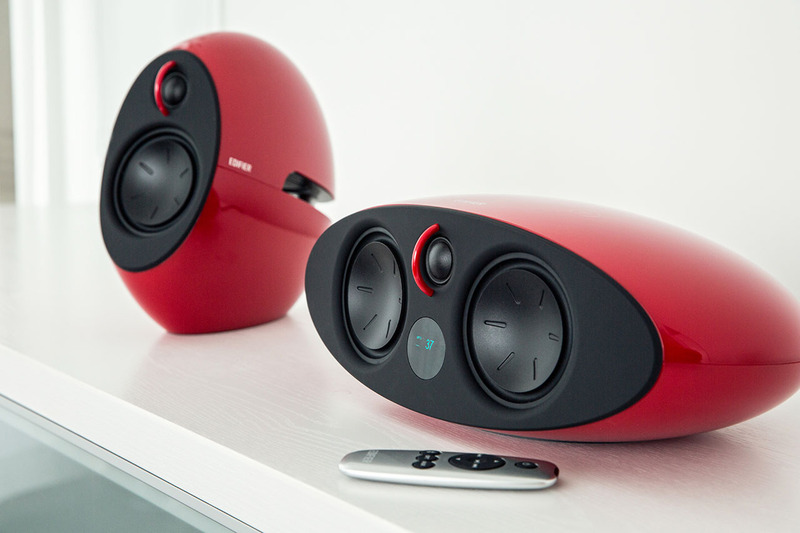 The crisp sounds from the Luna E255 will bring your room to life. Holding true to its original design and high-performing quality, the E255 is built to captivate you into whatever you are watching. You will feel like the actors are in your room with this surround sound system. Connect any device with Bluetooth, Optical or AUX input. 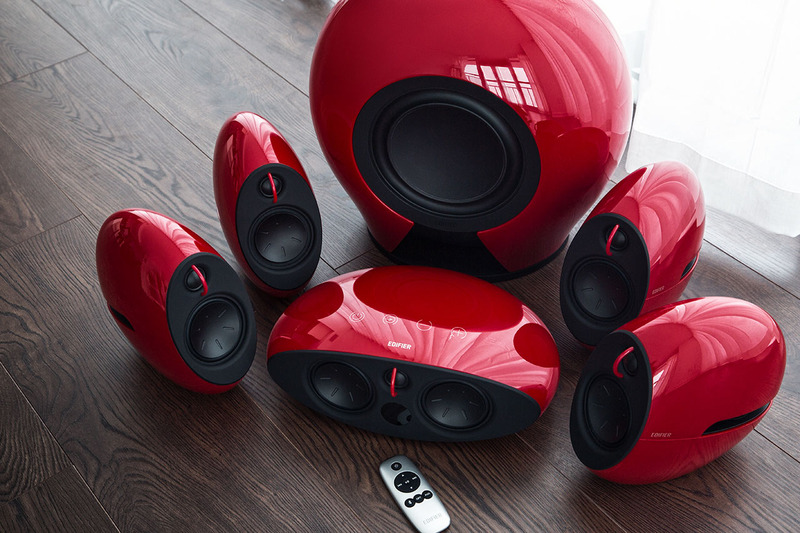 A chance to fully submerge into anything you play on your new home theatre speakers. Designed with Bluetooth 4.0, you can connect any device without having your audio source next to the speaker. Its broad range allows you to move throughout the room without loosing connection. Best of all the six-piece home theatre system has wireless components. You can spread the speakers around the room without clutter. No one will be tripping over wires. Equipped with a Dolby and DTS decoder to reduce unnecessary noises (like hiss) for the best in home movie experience. 385-watts of powerful sound will enhance your senses. The E255 Edifier home theatre features touch sensitive controls on the decoder and a slim, slick remote. Engineered with an OLED display to control volume, trimmer settings and decoder status. Control every aspect of your listening experience with ease.